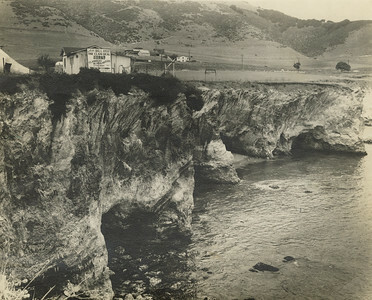 Pismo Palisades, undeveloped, 1920s. #1962.656.263. 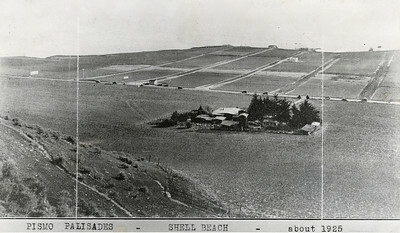 Shell Beach area, Pismo Palisades, undeveloped but with streets laid out. Highway with cars visible as well as farm complex near current Seaport Drive. 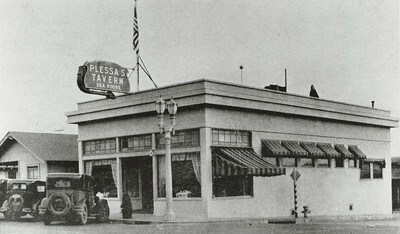 School House at 1000 Bello Street, Pismo Beach, CA in 1910. View from ocean to the coast of Dinosaur Caves and bluffs. Visible is Bill's Clammers' Headquarters sign and multiple buildings. 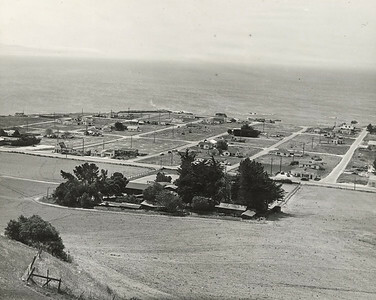 Shell Beach area, Pismo Palisades, with few houses but with streets laid out. Farm complex visible near current Seaport Drive. Shell Beach Post Office visible at right front. 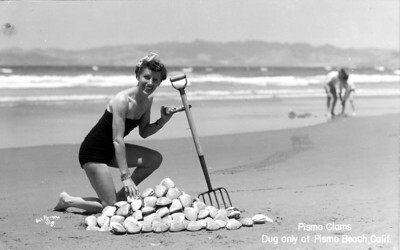 Woman with clam fork and a pile of Pismo Clams on beach.